International Harvest of Mount Vernon, N.Y., is recalling 14,620 lbs. of bulk and 24,270 bags of Organic Go Smile! Raw Coconut. Retail: International Harvest Brand Organic Go Smile! Dried Coconut Raw, in a 9oz poly/plastic bag, UPC: 7 39446 40220 7, with the following "Sell by Dates" on the back of the bag: 010118, 020118, 030118, 040118, 050118,060118, 070118, 080118, 090118, 100118, 110118, 120118, 010119, 020119, 030119. 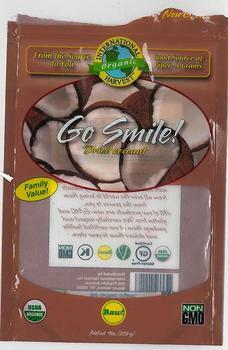 Bulk: Go Smiles Dried Coconut Raw in a 25-bulk case labeled with the following batch/Lot #’s: OCSM-0010, OCSM-0011, Lot# OCSM-0014. The recalled product was sold to customers by online retailers, retail stores and distributors and distributed directly in New York, New Jersey, Connecticut, California, Colorado, Oklahoma, Georgia, Vermont, Illinois, Florida, Maine, Washington, New Hampshire and Utah. Consumers with questions may contact the company at 914-699-5600, Monday – Friday from 8:00am – 5:00pm.